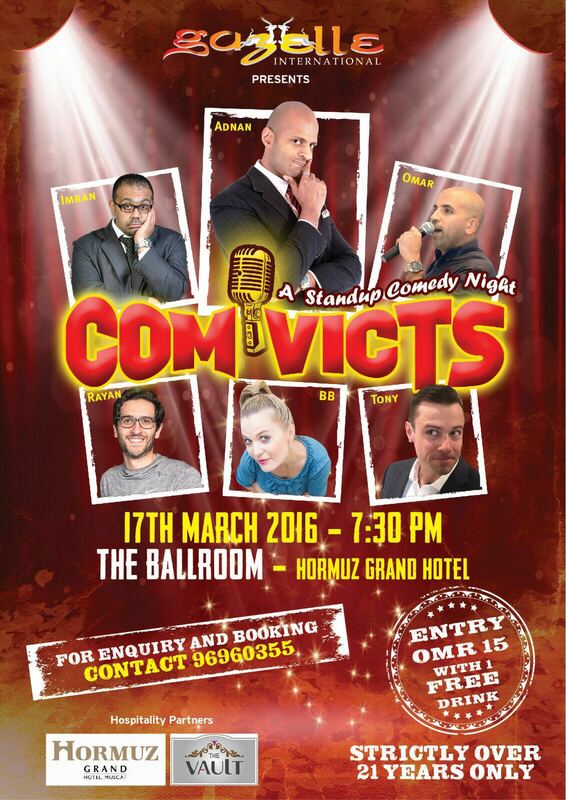 An alternative option to pretending you're Irish this Thursday evening is this stand up comedy show being held at the Hormuz Grand hotel. Tickets are RO 15 and you get a complimentary drink with your ticket. 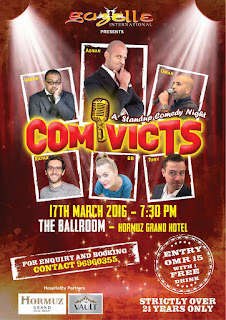 You can book tickets by calling the number in the poster.